The Society for Neuroscience annual meeting is underway in San Diego, California with nearly 30,000 attendees and around 13,500 posters. Some of the research being presented relates to this small, long-tailed New World monkey–Callithrix jacchus, native to the dense forests of Eastern Brazil and a promising model organism in neuroscience. Mice continue to be helpful models in neuroscience. They have a prefrontal cortex but, for example, they lack the dorsolateral prefrontal cortex that humans and primates share and that is involved in cognition, learning and memory. One large-scale project in Japan, Brain Mapping by Integrated Neurotechnologies for Disease Studies (Brain/MINDS), is focused on marmosets. In this month’s Technology Feature, we hear from some Brain/MINDS scientists about their work and their plans. We also talk with scientists elsewhere to find out more about why they believe marmosets are promising models. A number of these researchers head to the wild to study marmosets in their natural habitat. “Humans talk a lot,” says neuroscientist Cory Miller of the University of California at San Diego who studies social and vocal behavior in primates. “For apes, we talk a preposterous amount, other apes don’t talk as much,” he says. Miller, who has also studied vervet monkeys and macaques as well as simakobu monkeys, cotton-top tamarins, macaques, and capuchins, appreciates how vocal and social marmosets are. This monkey’s vocal and social traits as well as the fact that females usually give birth twice a year, usually to non-identical twins, all likely evolved as an adaptation to life in the dense forest and intense predation. “Everything eats marmosets,” says Miller. 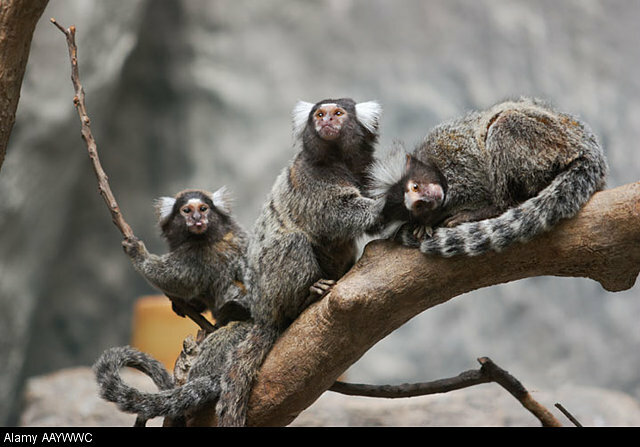 Marmosets are cooperative breeders: both parents take care of the young along with an extended family of relatives and unrelated group members. These monkeys can learn to complete all sorts of cognitive tests. These aspects are but some of this animal’s attributes drawing attention in labs around the world. Marmosets are not complete strangers to neuroscience labs, says Miller, who points to work by Angela Roberts at the University of Cambridge, Marcello Rosa at Monash University, Xiaoqin Wang at Johns Hopkins University, Miller’s post-doctoral advisor and many others. This work has spanned a wide breadth: basic neuroscience, motor control, social behavior, neuropsychiatry. As a model for human behavior and the human brain, labs draw on primates, for example macaques. But, says a neuroscientist who wishes to remain unnamed, many universities do not wish to have macaque labs on campus and there are too few positions for postdoctoral fellows leaving labs, ready to continue primate research. ‘Marmosets will save the primate model in biology’ is a phrase the scientist has heard from a number of neuroscientists. Overall, the idea, says UCSD’s Miller, is not to repeat with marmosets what has already been done with macaques, but rather to have a complementary primate model that will allow an expansion of the types of questions that can be asked. A number of marmoset researchers connect work they do in the lab with work in the wild. Miller’s group along with scientists at the Federal University of Pernambuco in Recife, Brazil are equipping nearby wild marmosets with a collar to record vocalization data, ambient sound and information, such as how high the animals sit in the trees when they vocalize. 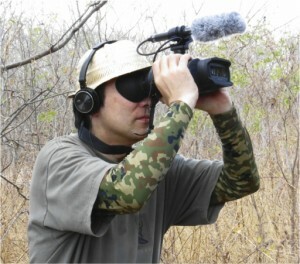 Atsushi Iriki, who directs the laboratory for symbolic cognitive development at Riken Brain Science Institute and who is also part of Brain/MINDS has also spent time in Brazil observing marmosets in the wild and he noted how different they are from wild Japanese macaques that are more familiar to him. What struck him was how cooperative marmosets are in their group as they spend all day together, as they move around or forage for food. They are always keeping track of one another in the dense bush by calling out to one another and they are always helping one another. They might, for example, share food with one another or help the younger ones jump from one branch to another. Atsushi Iriki, a RIKEN neuroscientist, in Brazil observing marmosets in the wild. Iriki has encountered wild macaques in Japan while hiking, biking or skiing. Macaques vocalize but much less than marmosets do and usually only when they are in tense situation such as when they are frightened, trying to scare others or competing with others in some way. “Another difference is that marmosets are female dominant, while macaques are male dominant like most of other primate species,” says Iriki. 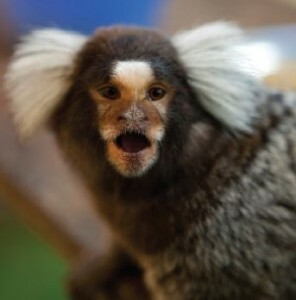 Given that it is much harder transport primates than people, Charles Jennings who directs the neurotechnology development program at the McGovern Institute for Brain Research at MIT has proposed the idea of setting up ‘hotel space’ for researchers at major primate research centers so they can work with marmosets on site. There may even be ways to telecommute to work with marmosets remotely. “It would seem almost necessary for people who want to do work with the actual animals but are at an institute that doesn’t have the resources,” says his colleague Rogier Landman who is in Guoping Feng’s lab at the McGovern Institute. The idea of research ‘hotel space “might be ideal, especially academically, if it could be realized,” says Iriki. But, he says, this approach also means that agreements about cross-border collaboration, data-sharing, data-security and intellectual property must be put in place. Transgenic marmosets will help scientists parse molecular and genetic mechanisms in comparative primatology, says Iriki. He studies fundamental neuroscience and the emergence of human traits such as intelligence in primate evolution. He began studying marmosets around ten years ago and continues to also work with macaques and people. Landman and others who have started working with marmosets are finding that these monkeys are hard to train. New types of cognitive tests are needed, says Landman, ones that are adapted to the needs of these animals. Iriki believes that some of these issues crop up because existing tasks and tests have been refined and adapted to the needs of macaque monkeys. For some tasks, such as vocal communication, social cooperation, altruism and others, Iriki sees advantages with marmosets in that their behavior is more akin to human behavior. In Iriki’s view, the human brain has evolved in an interaction with an ecosystem and has been shaped by tool-making and the use of language. He believes that higher-order cognition both in humans and primates may derive from information-processing mechanisms related to navigating a spatial environment. Some of these aspects can be studied in the lab. Japanese macaques in the wild don’t use tools but can be trained in the lab to of a rake to extend their reach to grab food. Analysis of voxel-based morphometry of MRI imaging has shown that such tool-use in experimental settings increases cortical gray matter in monkeys. Iriki cautions against an anthropocentric view of marmoset intelligence. These primates might appear less intelligent than other monkeys in some ways. Then again, he jests, humans might appear to monkeys as animals with intermediate intelligence.